INDUSTRY.co.id - Jakarta - Committed to meet the needs of the society of quality dwelling, Sky House entered the Indonesian market in 2017. Combined with the concept of green life and efficient design, Sky House wants to provide a modern, healthy, safe and comfortable living environment for all people. Sky House also managed to get the official appreciation in an effort to meet the needs of the population of quality housing, namely The Best Apartment in South Tangerang House Rumah123.com for his first project, Sky House BSD +. With that experience and recognition, Sky House is your trusted brand for five-star life, says Fathan Thaher, Strategy Manager of Sky House, on the sidelines of the show titled Rise to Sky with Sky House, BSD City Saturday, 14 / 7/2018). Fathan Thaher added that Sky House has Sky House Exhibition Center located at Thamrin Nine Complex, Jl. M. H. Thamrin, Jakarta. In it are exhibited some projects that are and will be developed in Indonesia, he said. The concept of the Exhibition Center design confirms Sky House's passion for delivering world class product and service properties. This is reflected through the world map showing the values ​​of international companies. The Indonesian map located in the lobby also affirms the presence of Sky House in Indonesia to continue to provide the best for the community. Sky House BSD + is the first Sky House project in Indonesia to be established in BSD City, just next to AEON Mall BSD City. The launch of Sky House BSD + is a strong commitment from developers to launch large-scale property projects in Indonesia, said Johnny, Project Director of Sky House. Sky House BSD + brings the concept of Singaporean life to BSD City that emphasizes the elements of nature, landscape, architecture, entertainment, and the presence of the international community, he said. With environmentally-friendly innovations, integrated smart security systems, stunning landscapes and many other attractions, Sky House BSD + will make you feel as if you are living in Singapore. Johnny adds that Sky House BSD + has received excellent appreciation from the public. This is evident from the sales figures that have exceeded 1,200 units since the first day of launching in late December 2017, he said. This achievement proves that Sky House BSD + can be trusted by the community to meet the needs of quality dwellings in strategic locations. Currently Sky House has made a purchase of new land in the Alam Sutera area for its new project. The project will carry the concept of a modern community that emphasizes ease on all sides. 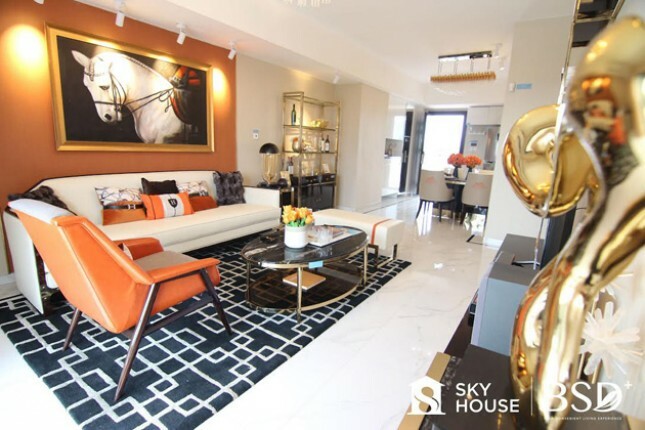 Sky House Alam Sutera + will offer a dynamic lifestyle that is very much desired by young people now, but still able to meet all the needs of the already married, he concluded. Other advantages such as Sky House BSD + will be built on an 8.3 hectare plot, and will consist of studio type units (20 sqm), two bedrooms (48 sqm), three bedrooms (68 sqm), and three and one bedroom (85 square meters and 120 square meters). Strategically located, Sky House BSD + is located in BSD City's CBD Center which has a modern integrated infrastructure network. Coupled with AEON Mall BSD City which is located right next to, Sky House BSD + is a dwelling that is able to meet everyday needs. Sky House BSD + has the first seven storey park in Indonesia. With 4.6 hectares of residential park and a 1.7 hectare Sky Garden, the residents will be able to enjoy the beauty of nature in every corner. Beautiful greenery is also not only found in residential areas, because BSD City itself has a green land area of ​​400 hectares accompanied by city parks. Security is the most important aspect of a dwelling, so Sky House BSD + is equipped with a sophisticated and reliable security system. There is 24 hour CCTV surveillance, emergency buttons, video intercom, and various other security facilities to realize a comfortable and peaceful life. The units at Sky House BSD + are semi-furnished units with quality products from top brands such as Modena, Toto, Schneider or other equivalent brands. In addition, there is also a complete kitchen with a cabinet and a bathroom that is considered qualified to meet daily needs. Sky House BSD + combines natural beauty with modern life complemented by security and life-support technology systems, such as Wi-Fi networks, access card systems and drinking water in public areas.